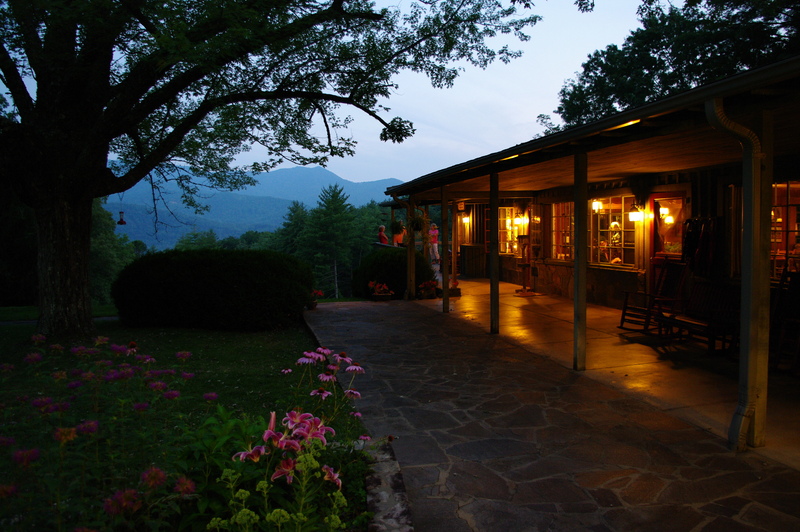 For more privacy and a little more room, stay in one of our country cottages while visiting the Smokies. Each cottage varies in style, size, and character. See the descriptions below. The Innkeepers Cottage is a beautiful cottage nestled in the woods just next to the inn. Originally built for Hemlock Inn owner John Shell and his wife Ella Jo, it has two bedrooms with one king bed in each, two bathrooms, a full kitchen, large living room with hardwood floors, a laundry room. There is a large private deck that looks into the forest. 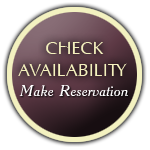 The Innkeepers Cottage is reserved for adults only except during Polar Express season. The Red Cottage is our largest cabin and comfortably sleeps 14. Upstairs (room #24) has a kitchenette, large living and dining space, 3 bed rooms, 2 bathroom, and laundry area. One room has a king bed, one has a queen bed, and the other room has a set of twin beds. The Red Cottage Downstairs (room #25 and #26). Room #26 is a king bed room with a bathroom and twin bunk beds in an alcove. Room #25 has a living space with a small kitchenette and two rooms both with queen beds and a shared bathroom.The Red Cottage is unique as it can be used as one large cabin or it can be broken up 2 or 3 units to better suit the needs of our guests.The Red Cottage is great place for family reunions and gatherings of friends. The Rondette is a round “tree-house style” cottage nestled in the woods adjacent to the main lodge. It contains two rooms (one with a king bed and one with two double beds) with an optional connecting door. Each of the two rooms has a private sitting porch, kitchenette, and full private bath. The Rondette can be rented as a single unit family suite or as two separate rooms. The Woody Cottage is a secluded two bedroom/two bath cottage with a recently renovated full kitchen, a screened-in porch, small lawn, and private driveway. It has one bedroom with a king bed and one bedroom with two double beds. There is a cozy living area with a fireplace and contains beautiful views of the mountains and surrounding forest. See pictures of all the cottages by clicking here.